Johnnie "John-boy" Donovan is the new VP of the Death Dwellers' MC and while the club president, his cousin Christopher "Outlaw" Caldwell, is on his honeymoon, Johnnie is left in charge. 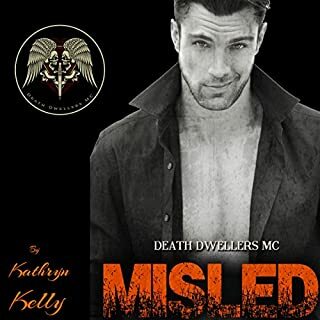 With Outlaw's return just a week away, he just wants things to run smoothly without a hitch, but trouble is brewing for the Death Dwellers and an evil from his past may be back to haunt him. Kendall Miller is an attorney and the ex-girlfriend to Spoon, the club president of the Torpedoes MC. She is in over way over her head and, when her little sister is taken, Kendall needs to do whatever it takes to get the information on the Death Dwellers' Club before it's too late. Can Johnnie trust the mysterious red haired woman who showed up naked to his cousin's bachelor party? Can Kendall rely on the handsome blond biker that made a lasting impression on her mind, body, and heart to help her get her sister back? Lives will be lost and hearts will be broken in the third book of The Death Dwellers MC Series. Narrator made the love scenes not so real. I actually laughed at a lot of what was read. This book bothered the crap out of me and with the way Kendall is, I don’t know if I will be able to stomach the second half of their story. This may not be a story for all but this is amazing story with a good narration. The guys went through so much that shaped who they became. I hope the rest of the series goes on audible. This was the hardest book to listen to so far in this Death Dwellers series. One reason is the voice actor. Mr. Valor does a great job in bringing the harsh reality of Kendall's world to life. There is no way that you won't feel something for this latest book. It's a story that is the most violent and our narrator makes you sit up and pay attention. You can almost feel her pain. One good thing is that since this is Johnnie's story, the swearing isn't as bad as the previous book. But with all the violence, sometimes I actually would have preferred it. With that you wouldn't think that I liked the story but I did. We get some backstory here - get an understanding of the life that Johnnie and Christopher grew up in. This is one of those stories that it's hard to turn away from because this story has a realistic tone to it. Everything that Kendall went through is something that could be happening to any woman in the world right now. Johnnie seems so put together but this story gives us more look into what he's really like. Their story is one that I have to turn off now and then because some of the violence is hard to take. But that doesn't stop me from going back time and again. I want to know that Kendall is going to be able to find some kind of happiness. Ms. Kelly is most imaginative with this book. You have to wonder her thought process. Did she research? How did she get through all those scenes where there was violence against women? Or when she wrote the graphic scenes that show exactly what the men of the Death Dwellers, and enemies, are really like. Her words have left me wanting more. Mr. Valor has left me wanting more. This is one book that shows why I listen to audiobooks. If I read the book I don't think I would have the same reaction. With someone reading to you, bringing the characters to life, you can almost see the scenes come to life - like a movie playing out in your head. You have your headphones in so that all you can do is concentrate on the story. Everything else is cut off since all you can hear is what the narrator is telling you. I start my day with a couple of disappointments. 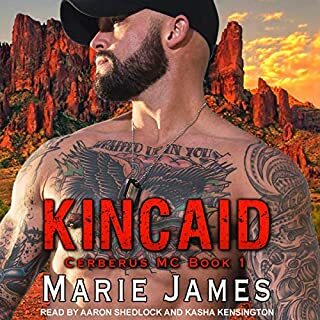 As I research to see if my audio tour of this MC is going to continue I find it's not - at least right now. Another disappointment comes in the fact that I find that Johnnie and Kendall's story isn't finished. 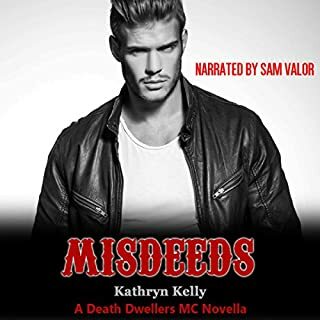 My last disappointment was that I couldn't tell if &amp;quot;Misdeeds&amp;quot; will also come out in audio so that I can continue my Death Dwellers adventure. But the good news is that if it doesn't it's not the end of the world - will just have to add the book to my regular library. Then maybe I can find out what happens to our couple. Misunderstood is the second book in the Death Dwellers series – technically the third book. Kathryn Kelly does a great job of intertwining characters from other books in the series throughout this one. As you read each book, you start to feel that you are just reading a continuation of the previous book. This book unfortunately is disappointing in my opinion. It appeared to be all over the place. While this story should be Kendal and Johnnie’s story, it just didn’t focus on them. I couldn’t keep up with the characters and whose story it was. There were chapters that characters appeared that made no sense at all and didn’t add to the story flow. After reading the first two books, I really want to keep with the series; however, I can only hope that the books get better. Just like in previous books in the series, there are some minor things that I feel takes away from the story. One of the biggest thing for me is that sometimes curse words are excessively used. Yes, it is a biker club book, which has cursing, however even true biker groups don’t use a curse word as every other word in a sentence. I have no issue with curse words in general; they are just too frequent to be “real”. 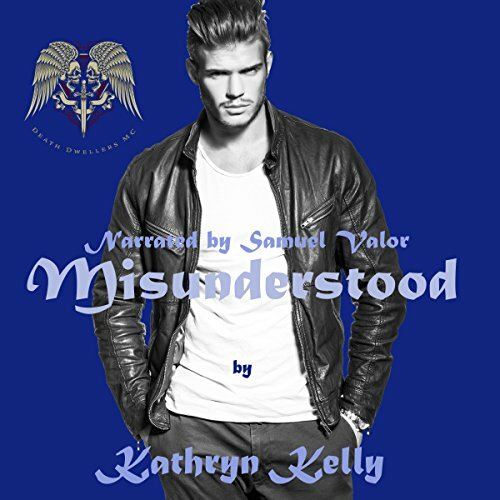 Would you consider the audio edition of Misunderstood to be better than the print version? Well that's a hard one , cause in your mind you think Charator voices sound a certain way but the narrators put a whole new sound to it , so giving you a different take on an Awesome book . What other book might you compare Misunderstood to and why?